You rush to the airport, wait in a crawling security line, then sprint to the gate — only to discover that your flight is delayed. That summer trip will have to wait as you camp out in a crowded terminal and dine at its mediocre restaurants. This experience is familiar to too many of the 231 million passengers that Airlines for America, an airline trade group, estimates will fly this summer in what is expected to be the busiest flying season ever. If summer 2016 is like the past few years, it also will be one full of flight delays. NerdWallet reviewed Bureau of Transportation Statistics data on commercial flights originating in the U.S. from 2013-2015 and found that a higher percentage of summer flights were delayed than flights in spring and winter. And if you fly out of certain U.S. airports, it’s even more likely you’ll have an unpleasant wait. To find the nation’s worst airports, NerdWallet examined recent data on flight delays, security and customs lines wait times and dining options from sources including the federal government, a crowd-sourced travel app and Yelp. Go to the end of this report to see our methodology for the full details. There are a few bright spots in the country, too. The airports with the fewest flight delays and screening hassles, according to the data, are Honolulu International Airport; John Wayne Airport in Orange County, California; Norman Y. Mineta San Jose International Airport in California; and Seattle-Tacoma International Airport. If you can’t avoid flying out of one of the worst airports on this list, there are some steps you can take before you leave to lessen the sting of the experience. Read our tips here. This airport in Newark, New Jersey, about 20 miles from Manhattan, is one of the worst for lengthy delays. Here, 11% of flights were delayed over an hour during the summer months of 2013-2015, and 4% were delayed more than two hours. No other airport among the nation’s 50 busiest locations had higher percentages of flight delays for those two categories. Newark also had one of the highest flight cancellation rates, at 0.4%, compared with the average of 0.3% of all airports analyzed. Four percent of summer flights from New York City’s LaGuardia in 2013-2015 were delayed more than two hours, which ties neighboring Newark and a few other airports for the highest percentage of over two-hour delays. Many travelers grab a bite to eat while waiting for their delayed departure, but Yelp reviewers weren’t impressed with LaGuardia’s dining options, which had an average rating of 2.7 out of 5 as of May 2016. Of all the airports analyzed, only Kansas City International Airport had a lower restaurant rating of 2.3 out of 5. Nearly 77 million fliers passed through O’Hare in 2015, making it the fourth-busiest airport in the world, according to Airports Council International. It’s also one of the worst airports in terms of delays. Of the 50 busiest U.S. airports, O’Hare had among the highest percentages of flights delayed in all three time frames measured — 30 minutes or more, over an hour and more than two hours. For example, 20% of O’Hare summer flights were delayed 30 minutes or more, compared with the 14% average of the airports analyzed. O’Hare is also one of the worst airports in terms of security lines. According to the crowd-sourced travel app MiFlight, O’Hare’s longest security wait time as of March 2016 was three hours and 19 minutes. More international passengers passed through New York City’s JFK last year than any other airport in the U.S., according to Airlines for America. That may be why the airport’s customs wait times were so long in our analysis. In summer 2015, the average traveler arriving from abroad had to wait nearly an hour (55 minutes) at customs. Of all the 50 places analyzed, longer wait times were found only at Sacramento International Airport, with a 61-minute wait on average to clear customs, and at Boston’s Logan International Airport, with a 57-minute wait on average to enter the country. JFK’s below-average restaurant ratings also helped make it one of the worst airports. While the average star rating by Yelp reviewers for all airport restaurants was 3.6 out of 5, the dining options here received 2.9, the third-lowest rating. This airport, one of the busiest in the nation, had an average percentage of flights delayed by more than two hours. But in every other measurement — delays of less than two hours, canceled flights, wait times in customs and security lines, restaurant ratings — DFW scored below average. In the category for flights delayed by 30 minutes or more, only seven airports of the 50 in our analysis had a higher percentage than DFW’s 17%. Some flights here are delayed much longer than 30 minutes. In our review of summer flights for 2013-2015, we found one delay that lasted 18 hours. This airport did worse than average in almost category examined. Of all 50 airports analyzed, PHL ranks among the 10 worst for the percentage of flights (3%) delayed for more than two hours. Among flights that failed to leave on time, the average wait was 13 minutes, which is longer than the average among the 50 airports analyzed. Restaurants here also have a below-average rating from Yelp reviewers of 3.2 out of 5. Dulles scored better than average in a few categories in this analysis, but it also was well below average in others. The restaurants at Dulles have an above-average rating by Yelp reviewers of 3.7 out of 5, and its average wait time at customs is among the shortest in our analysis But this Virginia airport, about 30 miles from Washington, D.C., is one of the worst for delays. For example, in the summers of 2013-2015, 1 in 10 flights was delayed by over an hour. Midway makes the top 10 for its frequent flight delays. In the past three summers, the average delay here was 19 minutes — the most in our analysis. Midway ties nearby O’Hare for the highest percentage (20%) of 50 airports with summer flights delayed by 30 minutes or more. Midway also ranks among the worst for the percentage of flights delayed by more than an hour and for those delayed over two hours. On the plus side, Midway has a higher-than-average rating by Yelp reviewers for its restaurants (3.7 out of 5) and one of the shortest average wait times for customs (21 minutes) of the 50 airports. Miami tops the list for the highest percentage of summer flights canceled, at 0.5%, compared with the average of 0.3% among the 50 busiest airports. Miami also has some of the worst security lines, with the longest wait as of March 2016 lasting three hours and 36 minutes. Miami’s percentage of flights delayed is slightly higher than average for each of the delay categories measured. But Miami shines in other metrics, with short average wait times at customs (21 minutes) and one of the highest average ratings by Yelp reviewers for its restaurants (4.2 out of 5). Unlike most airports in the top 10, LAX earns average marks for the percentage of flights delayed 30 minutes or more, the percentage of flights delayed by over an hour and the number of minutes flights are delayed. This airport even has a slightly lower-than-average percentage of flights delayed by over two hours. LAX makes the top 10 because travelers departing from the airport and arriving from abroad spend more time in lines: Wait times averaged about 40 minutes in security lines, and 44 minutes for customs. While you might not be able to avoid the worst airports, especially if you live near one, here are a few ways to ease the pain of long security lines and customs delays. Enroll in TSA PreCheck to expedite security screening. This program prescreens travelers, determines them to be low risk and expedites their security wait at the airport. With TSA PreCheck, travelers don’t need to remove shoes, belt, light jacket, laptop or liquids. If you want to switch to the fast line, start your application at TSA.gov. You must appear in person at a screening center, be fingerprinted and pay a $85 nonrefundable fee, which covers membership for five years. Apply for Global Entry to avoid waiting at customs. This program, run by U.S. Customs and Border Protection, allows international travelers to avoid customs lines and paperwork when returning to the U.S. To enroll, travelers must fill out an application, pay a nonrefundable $100 fee and undergo an in-person interview and background check. Membership is valid for five years and includes free membership to TSA PreCheck. Get access to airport lounges. Premium travel credit cards typically allow cardholders to spend time in select airport lounges for free. For example, The Platinum Card® from American Express grants access to Delta Sky Club, Airspace Lounge and American Express Centurion Lounge. Most of these lounges offer snacks, beverages, free wireless internet and, in some cases, access to showers and conference rooms. If you’re delayed in Dallas/Fort Worth or Miami, you can relax in one of the Centurion Lounge spas. If you travel less often, you might consider buying a lounge pass, which range from $20 to $59. Sign up for a travel credit card. Premium travel cards, as well as airline credit cards, have different perks, but most offer rewards and zero foreign transaction fees. Some premium travel cards, like Chase Sapphire Reserve®, reimburse the cost of Global Entry. Other premium cards waive or reimburse checked-bag fees. Premium cobranded airline cards typically offer priority check-in and security screening. Top-tier travel cards generally charge annual fees of $450. This cost may be worth it for frequent fliers who value travel perks. For example, if you fly domestically five times a year and check a bag at $25 for each departing and returning flight, you would pay $250 in fees. The Chase Sapphire Reserve® offers a $300 credit that could cover that cost. Or, say you also pay for $50 lounge passes on four different trips. That’s another $200 that most premium credit cards would cover. In the table below, scroll down and to the right to see the data on the 20 worst airports for summer travelers. In the table below, scroll to see the data on the 20 best airports for summer travelers. Delayed flights. We analyzed flight data from the U.S. Transportation Department’s Bureau of Transportation Statistics to find the percentage of flights with significant delays in three categories: over 30 minutes, over one hour and over two hours, and the average delay time at each airport. Data are from 2013-2015 for the months of June, July and August. This is 30% of an airport’s score. Canceled flights. We looked at the percentage of flights canceled at each airport according to data from Bureau of Transportation Statistics for 2013-2015 for the months of June, July and August. This is 20% of the score. Customs lines. We analyzed hourly wait time data from U.S. Customs and Border Protection for every international terminal in each airport. We looked at the average and the maximum hourly wait times for summer 2015. This is 10% of the score. Security lines. We factored into the score whether an airport was listed by the crowd-sourced travel app MiFlight as one of the top 10 worst for TSA wait times. Every location in our top 10 worst airports was on the list. This is 25% of an airport’s score. Restaurant quality. We analyzed Yelp rating data from all years based on reviews of restaurants at each airport to assess food quality. We looked at the average star rating of restaurants in, or in some cases, near the airport. This is 15% of an airport’s score. Credit cards. Premium travel credit cards are any card with an annual fee of $395 or more a year. Premium airline credit cards are credit cards with an annual fee of $395 or more and are associated with a specific airline. Note: In some cases, data wasn’t available for each airport in every category. When data was missing, we used the average of all airport data for that category and noted “no data” in the data tables. To compare the percentage of flights delayed in summer to delays in spring and winter, NerdWallet reviewed Bureau of Transportation Statistics data on commercial flights originating in the U.S. from 2013-2015. We reviewed flights in summer (June, July and August), spring (March, April and May) and winter (December, January, February). Fourteen percent of summer flights were delayed 30 minutes or more, compared with 11.7% of spring flights and 13.7% of winter flights; 7.3% of summer flights were delayed an hour or more, compared with 5.8% of spring flights and 6.8% of winter flights. Information related to the Chase Sapphire Reserve® has been collected by NerdWallet and has not been reviewed or provided by the issuer of this card. Laura McMullen is a staff writer at NerdWallet, a personal finance website. 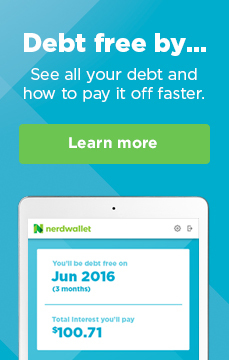 Email: lmcmullen@nerdwallet.com. Twitter: @lauraemcmullen. Courtney Miller is a data analyst at NerdWallet. Email: courtney.miller@nerdwallet.com.